A young boy from South Africa became the world's youngest club DJ after performing his first full live set. 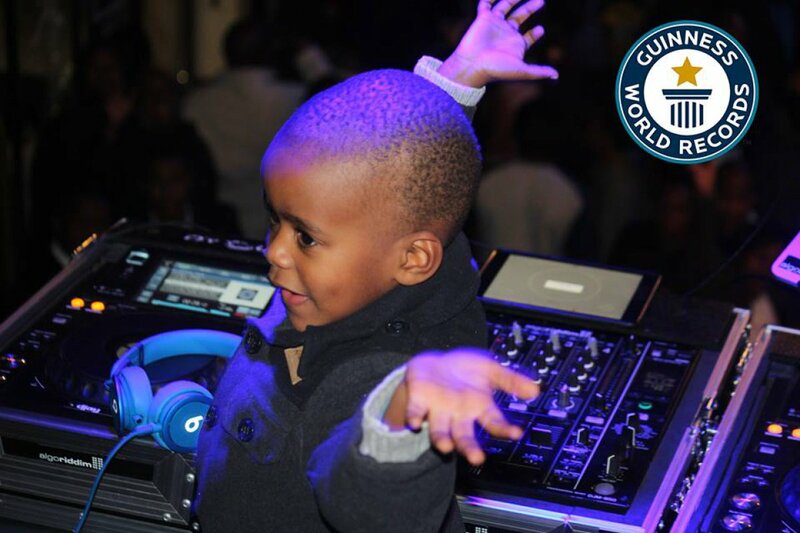 Oratilwe AJ Hlongwane, who performs under the stage name Dj Arch Jnr, performed a set at a Platinum Lounge Bar in Cosmo City, Johannesburg, to claim the Guinness World Record for youngest club DJ at just 5 years and 38 days old. "What a great feeling to be officially inducted into the Guinness World Records as the youngest club DJ," a post on Hlongwane's Instagram said. "This is for the fans, without your consistent support we wouldn't have made it this far." Hlongwane hoped to set the record while on his way to winning "South Africa's Got Talent" in 2015, but the record requires the attempt take place in a club and last for at least 60 minutes. The young boy used professional DJ decks as he performed in front of a crowd of 100 people. "Oratilwe doesn't just have the skills for DJing, but also has the style to go with it," his father Glen Hlongwane said. "He really enjoys playing in front of a crowd and enjoys every moment on the decks. I am over the moon that he is now officially the world's youngest club DJ." Hlongwane's performance dethroned the previous record holder Itsuki Morita, who set the record in May at 6 years and 114 days old. Chip Gaines and Joanna Gaines laugh off divorce rumors -- "They're hilarious"